Chloé's Ramblings: Getting my life back on track... again! fertility treatement: collect all informations and papers for my exam on Friday. I also have decided to work on one other goal each week until 2012 (or until I run out because all my goals are accomplished... yeah, right! LOL). This week, I'll focus on preparing Christmas gifts for my family and inlaws. 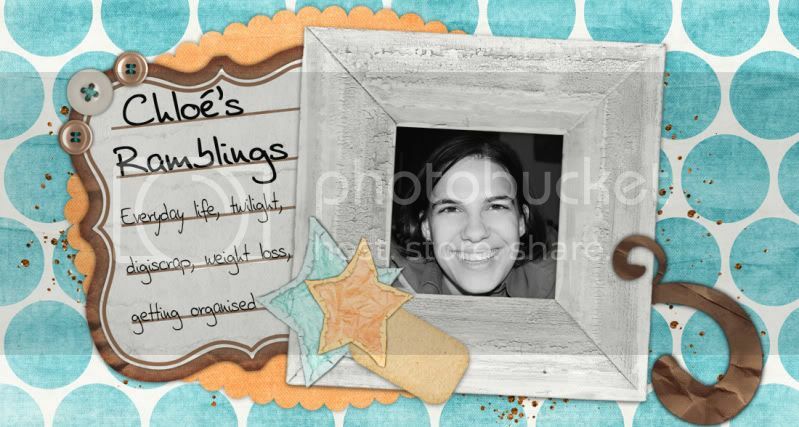 I'm making digiscrap calendars, and so far I'm doing great: the cover and the first 6 months are done for my inlaws. It'll be much faster for my family after that since it's digital scrapbooking: I'll just have to switch the photos and tadaaaaa! I'll be done! LOVE technology! On that note, I'm off to accomplish my evening routine. See you next weekend to find out how this week went! Looks great! Let me know if you need help.